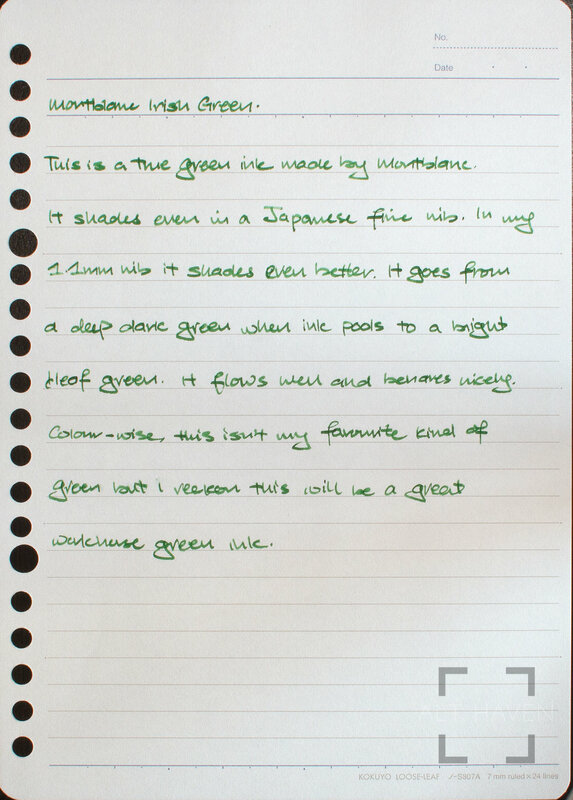 This is a true green ink made by Montblanc. It shades nicely even in a Japanese fine nib. In my 1.1mm nib it shades all the better. It goes from a deep dark green where the ink pools to a bright leaf green. It flows well and behaves nicely. 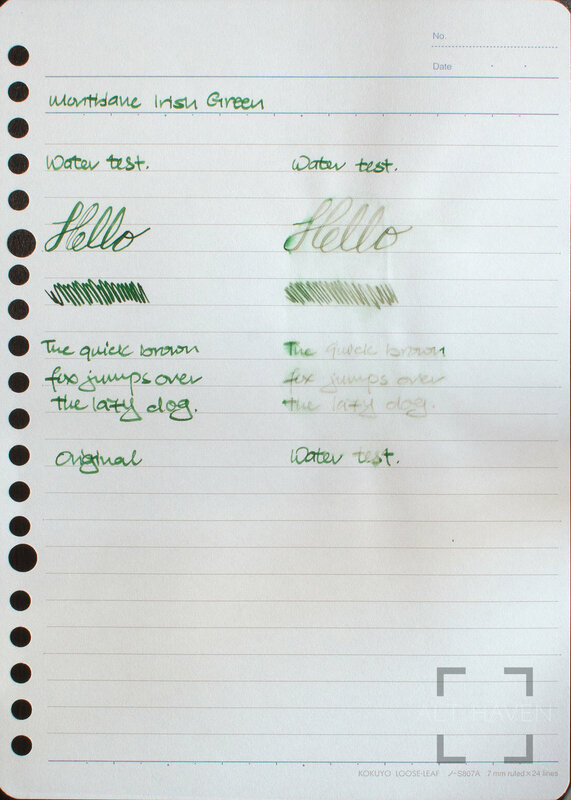 Colour-wise, this isn’t my favourite green but I reckon this will be a good workhorse green ink.